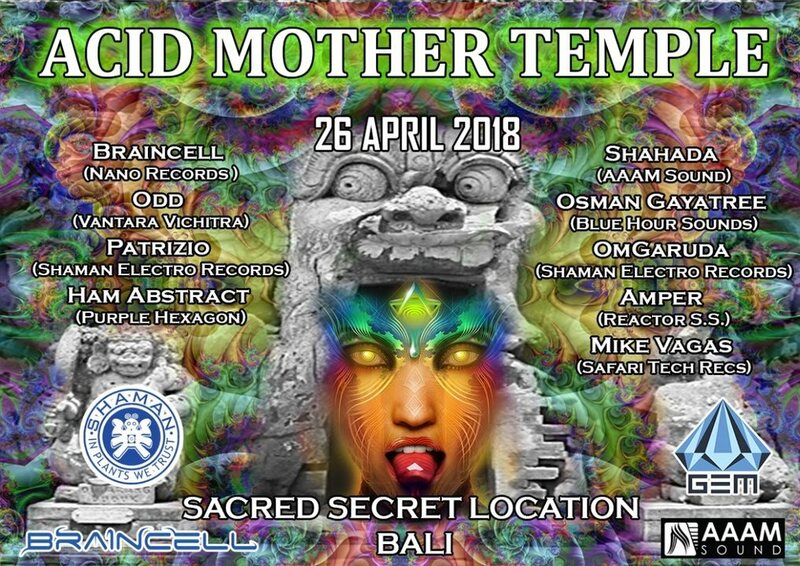 In collaboration with Shaman Electro Wear, we are very happy to announce that finally the time has come to gather the tribe at breathtaking secret location to celebrate the life in all its forms, in an unique place of peace, harmony, and balance. Between picturesque jungle, blinding white sand, and crystal clear lagoon, with a focus on rich Balinese culture this tribal ritual might become a very sacred experience. It is the beautiful essence of everything in the world and you can be a part of this miracle. Please let us know if you need to rent a tent, so we can ask locals to provide the needed amount, price is 45k IDR for 2-pax camping tent. As the event is non-commercial we would greatly appreciate your contribution for this party, let's make it happen together! Let's bring the community in Bali that shares the same values, knowledge, ideals, love of music, art and dance. Stay connected, WE ARE ONE. See you on the dance floor! Secret Location in Bali, please send us the message on facebook so we can send you a details.